African Union Semi-Arid Food Grain Research and Development (AU-SAFGRAD) and the Environment, Climate Change, Water and Land Management Division (ECCWLM) of the AUC with the support of partners are planning a High Level Policy Dialogue (HLPD) to take place in Ouagadougou, Burkina Faso from June 25-27, 2019 for the Sahel G5 countries. Environmental factors play a role in causing population movements, and conversely, migration has an impact on the environment. For instance, internal migration, such as the process of urbanisation, is sometimes linked to environmental degradation and environmental disasters which force farmers and other rural populations off their land. Also, the presence of large numbers of displaced persons in refugee camps and Internally Displaced Persons (IDP) hosting areas can have negative effects on local environments. Environmental considerations should therefore be playing an increasingly important role in the formulation of policies on migration and forced displacement. In the discussions of the Rio+20 process, migration has been recognized for its increasing importance and relevance to the social, economic and environmental dimensions of sustainable development. Global inequality, the lack of decent work, poverty, conflict, gender inequalities and discrimination, terrorism and climatic pressure continue to drive people to search for ‘greener pastures’ including going abroad. The relationship between Environment/Sustainable Agriculture and migration is complex with the other socio-economic factors that drive people to move, either voluntarily or by necessity. Some estimates indicate, however, that extreme events (floods, droughts etc.) and environmental degradation (desertification, soil erosion etc.,) which will be exacerbated by climate change – will move or permanently displace up to 200 million people by 2050. Migration is therefore a nexus for many issues of sustainable development, such as agriculture, food security, water and energy. Globally, and in Africa in particular, the significant and multifaceted contribution that migration can make to development has gained greater recognition. With the adoption of the Sustainable Development Goals (SDGs) in 2015, and explicit references to migration in six of its 17 goals, migration has gained global prominence. The African Union (AU) in 2015 launched Africa’s development strategy for the next half century, with the adoption of Agenda 2063, which aspires to an integrated and politically united Africa, and calls for the free movement of people, capital, goods and services. The African Union recognises the crucial role of migration and displaced persons in the socio economic development of the continent. Hence the decision of Heads of State and Governments in their January 2019 summit to declare this year of migration under the theme: The year of Refugees, Returnees and Internally Displaced Persons: Toward Durable Solutions to Forced Displacement in Africa. Back in 2006, the African Union Migration Policy Framework for Africa (MPFA) was adopted in Banjul as one of the few regional policy frameworks which refer to the relationship between migration and the environment, including rural–urban migration due to environmental degradation and disasters and the consequences of forced migration on the environment. At the regional level, the West Africa region and specifically the Sahel has been facing the last ten years tremendous displacements of people both within country and across borders. The region is affected by recurring insecurity and instability. Over the past decades, several armed conflicts have taken place in the region (Burkina Faso, Mali, Niger, Chad etc.). The displacement of population is affecting both the environment and the livelihoods production systems. It is against this background that African Union Semi-Arid Food Grain Research and Development (AU-SAFGRAD) and the Environment, Climate Change, Water and Land Management Division (ECCWLM) of the AUC with the support of partners are planning a High Level Policy Dialogue (HLPD) to take place in Ouagadougou, Burkina Faso from June 25-27, 2019 for the Sahel G5 countries.  To promote advocate for mainstreaming Environment related migration in national and regional frameworks.  Deliberate on root causes of migration as they relate to climate change and environmental degradation.  A ministerial declaration on the subject which would be taken to other the policy organs of the African Union.  A two-day expert session to deliberate on thematic focus areas as well as around key issues such as the root causes of Environment displaced people; the policy pathways to ensure better management of environmental migrants. It would be interactive in nature and would permit robust engagement for the participants to share experiences.  One day Ministerial session where invited ministers from the five (05) countries would deliberate on the outcomes of the expert work which will ultimate produce a communique. The High Level Policy Dialogue is aimed at Ministers in charge of Environment and senior officers of the relevant Ministries. It will also benefit from the insights and experience of representatives of the African Union Commission (AUC); Regional Economic Communities (RECs), the NEPAD Planning and Coordinating Agency (NPCA), UN agencies as well as a select number of representatives from Academic and research institutions, experts from diverse fields of competency., Private Sectors, Traditional leaders/mediators, and experts from diverse fields of competency. The High Level Policy dialogue will be held in Ouagadougou, Burkina Faso from 25-27 June 2019. AU-SAFGRAD will be partnering with ECCWLM division - AUC headquarters, the Government of Burkina Faso and, UNEP to organize this Policy Dialogue. AU-SAFGRAD and partners will be funding this event and will be in charge of the logistic arrangements. Two (02) Expert consultants will be engaged to facilitate the dialogue supported by Experts from the organizing institutions. The African Union’s SAFGRAD office in collaboration with the Division of Rural Economy of the Department of Rural Economy and Agriculture (DREA) and the Conflict Prevention and Early Warning Division (CPEWD) of the Peace and Security Department (PSD) of the African Union Commission (AUC) is seeking the services of One (01) qualified professional to elaborate a Continental Pastoral Code for the promotion of Pastoralism and the management of the conflicts between Pastoralists and farmers in Africa. 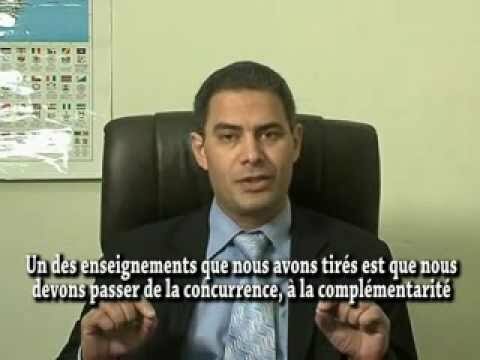 TDR d’un Consultant pour l’élaboration d’un instrument juridique pour la sécurisation des activités pastorales et la gestion des conflits éleveurs –agriculteurs en Afrique. Le bureau du SAFGRAD de l’Union Africaine en collaboration avec la Division de l’Economie Rurale du Département de l’Economie Rurale et de l’Agriculture (DERA) et la Division de la Prévention des Conflits et d’Alerte Précoce (DPCAP) du Département de la Paix et de la Sécurité (DPS) de la Commission de l’Union Africaine (CUA) sollicite les services d’un (01) professionnel qualifié pour élaborer un Code Pastoral Continental pour la promotion du Pastoralisme et la gestion des conflits Eleveurs-Agriculteurs en Afrique. After Niamey, Republic of Niger, last year, in March 2019, Luanda, Capital City of Republic of Angola, hosted the 2019 s edition of Africa Environment and Wangari Maathai Day. African Union Commission (AUC) has co-organizing this year, with the government of the Republic of Angola the Africa Environment & Wangari Maathai Day on 3rd of March. 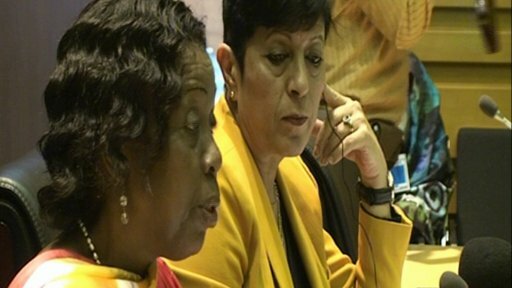 From 1-2 march, the forum Women and Environment predated the event with the theme: Women, Environment and Peace. The Department of Rural Economy and Agriculture (DREA) through its Environment Division and the Specialized Technical Office AU SAFGRAD, were actively involved in the planning and execution of this important continental event. This celebration, that constituted an opportunity for the AUC to reaffirm its commitment toward environmental protection in Africa, was attended by various International and African organizations. The AUC delegation was headed by HE Mrs Josefa Sacko Correa, Commissioner of Rural Economy and Agriculture, and included many other officers notably from Environment Division. AU SAFGRAD team comprised the Coordinator (Dr. Ahmed Elmekass) and two senior officers namely Mr. Youssoupha MBENGUE (information and Outreach Officer) and Mr. Mamadou KOUTOU (Programme Officer). The opportunity was taken by the office to disseminate outreach materials such as books, T-shirts, caps, etc. AU SAFGRAD Head of Office, Dr Ahmed ELMEKASS, has delivered on behalf of the Commission a an important statement during the forum Women and Environment. From 1-2 March, the forum Women and Environment preceded the celebrations of the AE&WMD. Participants came from various Member States and International institutions. The objective of the forum is to raise political awareness on strengthening regional and national policies and strategies that would enhance women access to land and other natural resources. The role of Women is essential in promoting sustainable natural resource management and prevention of conflicts. However, women are inadequately represented at all levels of policy formulation and decision-making in natural resource and environmental management, conservation, protection and rehabilitation. They are also not well represented in issues dealing with peace building and conflict prevention. Morever, indigenous women have particular knowledge of ecological linkages and fragile ecosystem management. Women in Africa can take courage from the late Professor Wangari Maathai of Kenya who devoted her entire life to environmental protection and conservation and remains an immortal global icon. The D day was marked by two major events. The first one was an important planting of trees with the presence of several leaders notably HE Mrs Josefa Sacko Correa, Commissioner of Rural Economy and Agriculture, the Governor of Luanda, the Minister of Envronment of Angola, the vice Minister of Environment of Namibia. They delivered respectively statements to mark this important celebration. The second event was also another trees planting that took place in an important place that is a new built area of the City of Luanda. Youth actively participated to the ceremony with the planting of hundreds of plants. The particapants to these celebrations of AE&WMD took the opportunity of their presence in Luanda to visit several places with environmental issues notably the important mangroves surrounded the capital city of Angola. L’Union Africaine, créée comme l’unique organe continental panafricain, est le fer de lance de l’intégration rapide et du développement durable de l’Afrique par la promotion de l’unité, de la solidarité, de la cohésion et de la coopération entre les peuples d’Afrique et les Etats africains ainsi que le développement d’un nouveau partenariat mondial. Son siège est situé à Addis-Abéba, capitale de l’Ethiopie. La Commission dispose de bureaux techniques spécialisés établis dans certains de ses Etats Membres, dont le bureau technique spécialisé pour la promotion de la recherche agricole pour le développement des zones semi-arides de l’Afrique (SAFGRAD) basé à Ouagadougou au Burkina Faso. Enregistrer toutes les informations reçues à travers différents moyens de communication et prendre les mesures appropriées. Exécuter toutes autres tâches demandées par les superviseurs. Les candidats doivent avoir au moins le BEPC et avoir accompli une formation pertinente qui leur permet de maîtriser les procédures militaires ou policières ainsi que les techniques d’auto-défense. Un niveau plus élevé serait un avantage. Au moins 5 ans d’expérience dans le domaine de la sécurité auprès d’une organisation nationale ou internationale, de sécurité, de police, militaire ou une brigade de Sapeurs-pompiers ou encore auprès du service de sécurité d’une organisation internationale. Fonctions et personnel clé - Avoir un sens élevé de la confidentialité, de l’initiative et faire preuve de bon sens. Planification & Organisation – Capacité à atteindre des buts et des objectifs et à prioriser les activités. Pouvoir suivre et ajuster les plans afin de satisfaire aux exigences changeantes et pouvoir utiliser le temps de manière efficiente. Connaissance de la technologie – Connaissance de l’utilisation et de la maintenance des équipements standards de sécurité et de communication; compétences informatiques de base; connaissance des applications électroniques, et autres logiciels informatiques. Travail d’équipe – Courtoisie et tact, avec une capacité de travailler efficacement avec des personnes de différentes nationalités et de différents horizons culturels dans un environnement multiculturel, multi-ethnique avec une sensibilité et un respect de la diversité. Maîtrise de l’une des langues de travail de l’Union Africaine. Maîtrise de deux ou plusieurs autres langues de travail serait un avantage supplémentaire. Les candidats doivent avoir de préférence 45 au plus. Le recrutement sera fait sur la base d’un contrat à durée déterminée pour une période de trois (3) ans, dont les douze premiers mois seront considérés comme une période d’essai. Par la suite, un contrat sera signé pour une période de deux ans renouvelable, sous réserve d’une performance et de services satisfaisants. La Commission de l’UA est un employeur qui respecte l’égalité des chances et les femmes qualifiées sont fortement encouragées à postuler. Salaire de base indicatif de 7.821,00 $ US (GSB8 échelon 1) par an plus d’autres avantages connexes –ex: allocation pour l’éducation (100% des frais scolaires et autres dépenses d’éducation pour chaque personne dépendante éligible jusqu’à 3.000,00 $ US maximum par enfant par an, pour 4 enfants maximum), etc. NB : Seuls les candidats présélectionnés seront contactés en temps opportun. In July 2017, African Union has declared the month of September of each year, till 2020, as “AFRICA AMNESTY MONTH. As part of the implementation of Africa Amnesty Month in Burkina Faso, AU SAFGRAD facilitated during December 2018 two successful workshops. The 29th Ordinary Session of the Assembly of African Union, held on 3-4 July 2017, in Addis Ababa, has declared the month of September of each year, till 2020, as “AFRICA AMNESTY MONTH” for the surrender and collection of illicit small arms and light weapons. Among the measures called for by the Assembly is the voluntary surrender of illicit weapons in civilian possession during the Africa Amnesty Month, on the condition of anonymity and immunity from prosecution. The Assembly further called on MS, Regional Economic Communities (RECs), civil societies and the media, to widely publicize this initiative and promote adherence among communities and target groups. In support of the Africa Amnesty Month Initiative, AU Commission has provided direct assistance to interested Member States (MS) in designing and implementing national initiatives. Assistance offered included organizing sensitization events, stakeholders consultations and training workshops aimed at building capacities for regulating arms possession; arms collection, management and disposal; community engagement; and media mobilization. The Commission intended to facilitate the exchanges of experience and lessons learned among MS. The overall objective of the Commission’s assistance is to ensure that the Africa Amnesty Month initiative is conducted effectively, safely, and in a manner that contributes to violence reduction and stabilization. Due to the limited resources available at the pilot phase of the initiative, assistance has been extended to a limited number of MS among which Burkina Faso. The National Commission to Combat the Proliferation of Small Arms and Light Weapons (CNLPAL) is the national entity in charge of the design and implementation of activities planned for the African month of Amnesty. Support requested by Burkina Faso included sensitization of Media and Civil Society on the Africa Amnesty Month; training of Police personnel on arms management; media campaigns; production of awareness raising materials and publications; and activities relating to the collection, storage and disposal of surrendered arms. More specifically activities of training workshop and awareness campaign were held in two important places, namely Dedougou, in Mouhoun Region, and Bobo Dioulasso, in Hauts-Bassins Region. Due to various circumstances, the two activities previously planned to be held in September were finally implemented during the month of December. AUC Technical Office, established in Ouagadougou since 1977, AU SAFGRAD has been designated to facilitate the implementation of the activities in Burkina Faso by providing administrative assistance and support in executing the national activities. In this regard, under the overall supervision of Dr Ahmed ELMEKASS, Head of office, and with the financial and administrative control of Mr. Issiaka OUEDRAOGO, Finance and Administrative Officer (FAO), Mr. Youssoupha MBENGUE, Senior Communication Officer, was nominated as Focal Officer of the Africa Month Initiative for Burkina Faso. Mr. MBENGUE worked closely with the Peace and Security Department (PSD) to review and finalize the proposed activities, and oversee implementation at the national level as appropriate. Thus, the first activity was held on 4 and 5 December 2018 in Dedougou (250 kms far from the Capital City Ouagadougou), Mouhoun Region where AU SAFGRAD facilitated the organization by CNLPAL of “an awareness compaign and training workshop for the benefit of local communities, civil society organizations (CSOs) and defense and security forces in the MOUHOUN Region on the illicit circulation of fire arms”. The two-day gathering was attended by more than sixty (60) participants comprised mainly by representatives of local communities, Defense and Security Forces personnel, CSOs members, Religious leaders and other relevant stakeholders. The second activity planned by Burkina Faso government through CNLPAL took place on 19-20 December in Bobo Dioulasso, second largest city of the country and 365 kms far from the Capital City Ouagadougou. This second meeting was related to a “Training workshop on controlling artisanal explosives and firearms in the Hauts-Bassin Region”. Approximately fifty (50) participants attended the two-day workshop that noticed a massive participation of the gunsmiths from the region. Both activities were very successful judging by the massive participation of stakeholders and the interest shown by various actors during the workshop sessions. In addition, these sensitization workshops take place in a particular security context in the country affected by the violent extremism underway in the Sahelo-Saharan zone. Ambient insecurity is pushing community associations to take security initiatives that are not always in compliance with state regulations, particularly with regard to the detention of light weapons and ammunition. Communications during the various meetings have tried to address these various challenges. The participants, led by the representatives of the state authorities, particularly thanked African Union Commission for its valuable support in the framework of the Africa Amnesty Month Initiative. Dean of the representatives of inter-African organizations accredited in Burkina Faso, Dr Ahmed Elmekass, Coordinator of the African Union SAFGRAD, on behalf of his peers, has presented his New Year's greetings to the President of Burkina Faso, HE Marc Christian KABORE. The ceremony took place on 08 January 2019 at the presidential palace. Apart from inter-African institutions, the ceremony was attended by members of the diplomatic corps, led by HE Farhat Bouazza, Ambassador of the Kingdom of Morocco, as well as representatives of international institutions under the leadership of HE Ms. Metsi Makhetha, the resident coordinator of the United Nations System in Burkina Faso. First to intervene, Dr. Ahmed Elmekass, after the usual greetings and protocol, requested to observe a minute of silence in memory of the victims of terrorism in the country. Subsequently, the head of the AU SAFGARD, welcomed the government efforts to overcome the terrorist crisis. In particular, he noted the significant increase in the resources allocated to the defense and security sector, as well as the state of emergency imposed in certain provinces of the country. He assured the Burkinabe Head of State of the unwavering support of the inter-African institutions for the "Land of the upright men" in his struggle for peace and sustainable development. Finally, Dr. Elmekass has highlighted some strong achievements of the African Union during the past year especially in the agricultural field before concluding wishes for a happy new year 2019 for the President of Burkina Faso, members of the government and all the people of Burkina Faso. Joining the Coordinator of the AU SAFGRAD, the Coordinator of the United Nations system and the Moroccan ambassador, have for their respective shares asked the President of Burkina Faso not to give up and continue working to overcome the terrorist crisis and consolidate the bonds of solidarity among the people of Burkina Faso. Finally, they expressed the wishes of peace and health to the people of Burkina Faso and their leaders. In response to the wishes of all three constituencies of the accredited diplomatic corps in Burkina Faso, the President of Burkina Faso, after having thanked them for their continued support, has, in turn, expressed his best wishes for a happy new year in 2019. He also called for respect for the commitments made by the international community to developing countries. He particularly reiterated his commitment to fight against terrorism, including alongside Burkina Faso's neighbors. The direct greetings to the President of Burkina Faso as well as the photos of groups ended the ceremony which is an important moment in the diplomatic calendar in Burkina Faso.